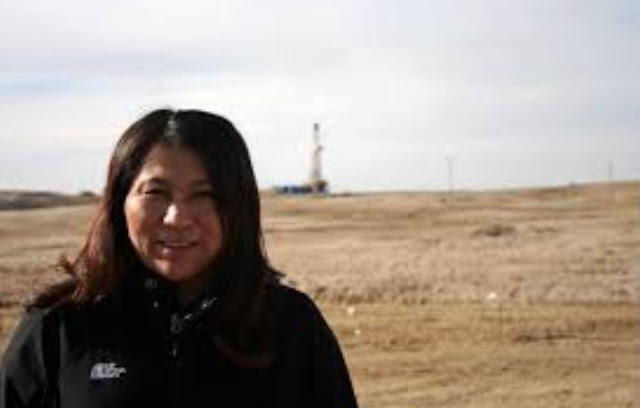 CENSORED NEWS: TARSANDS RED RIVER SHOWDOWN: Protester encases arm in concrete! TARSANDS RED RIVER SHOWDOWN: Protester encases arm in concrete! 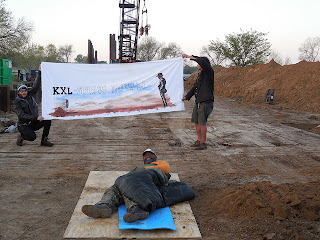 BREAKING: Lula, OK—Thursday, April 25, 7--A protester with the group Great Plains Tar Sands Resistance has stopped construction of the Keystone XL pipeline by locking his arm into a concrete capsule buried directly in the pipeline’s proposed path. Fitzgerald Scott, 42, is the first African American to risk arrest while physically blockading TransCanada’s dangerous tar sands pipeline, and the second person to take action this week. On Monday a 61 year old man locked himself to a piece of construction equipment effectively shutting down another Oklahoma pipeline construction site. This week of action, called the “Red River Showdown,” is intended to protect the Red River, which marks the border between Oklahoma and Texas and is a major tributary of the Mississippi.